Flower arranging has never been a strength of mine - but I almost always have some flowers in the house. 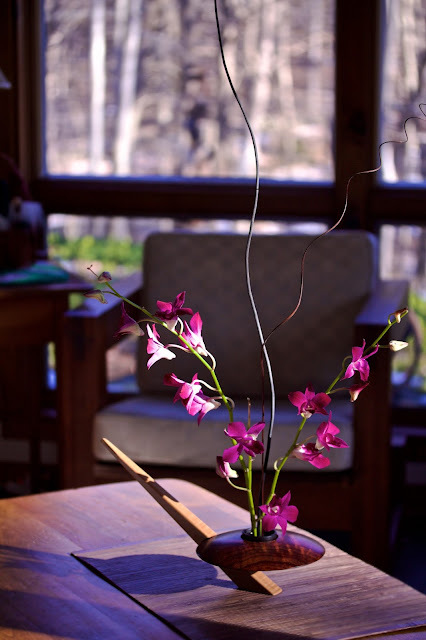 I had some left over orchid stems from a larger arrangement that were still beautiful so I tried a new arrangement. I do believe the secret to flower arranging is having the right container! We purchase this one years ago at a craft show. It is a beauty. For a first attempt I think you have succeed 100%. Beautiful.